Luscious 24-hour moisturization. Nourishes and softens. I recently bought this for the first time. I was going to save it for winter when it gets really, really cold because my skin gets extremely dry and itchy. However, I've used it several times already and I can't believe how soft my skin is. The fragrance is very subtle and clean. With this my skin doesn't itch at all. I know this is a limited product so I will be purchasing more before it's gone! 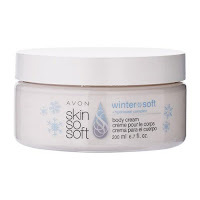 Really like this and will definitely use all winter long to keep my skin in good shape. Definitely recommend! I love this product. It is my nightly skin care regimen. My only wish is that they carried it year round.